We offer appliance parts in our Springfield, Mass., store, online or even via our parts department hotline. No matter how you would like to purchase your parts, we can help. We are proud to offer many ways to purchase your appliance parts. 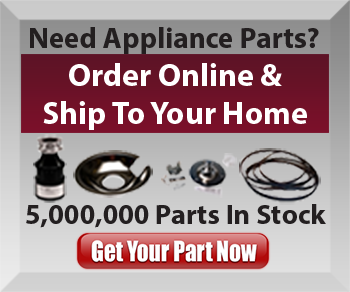 You are able to order over 4,000,000 parts via our parts website and can even call our customer service line if you want to verify that the part you are ordering is the correct one for your appliance model. Stop by, give us a call, or visit us online, as we look forward to assisting you in your next do-it-yourself appliance repair!